A pair of key congressmen today said they support the U.S. Postal Service's plan to halt Saturday delivery service of most mailers, letters and catalogs, but several other members are quite unhappy with the plan. A number of congressmen today decried the decision as bad for their constituents. They also said it's the purview of Congress -- not the Postal Service -- to make such decisions, and some placed the blame on the House of Representatives for failing to act last year. Patrick R. Donahoe, postmaster general and CEO of the Postal Service, said today that the quasi-governmental agency is in no financial position to keep Saturday service. The Postal Service must finance its own operations, without receiving tax dollars, but it must also follow budget mandates passed by Congress. Last year, it reported an annual loss of a record $15.9 billion and forecast more red ink in 2013. Given the circumstances, Sen. Tom Coburn, R-Okla., and Rep. Darrell Issa, R-Calif., released a letter in support of the plan. 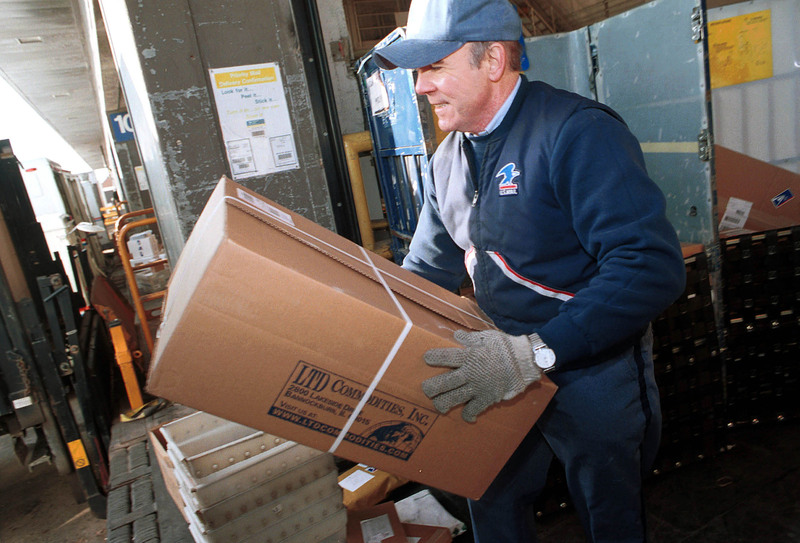 "This common-sense reform would save the Postal Service more than two billion annually," they wrote. As the top Republicans on the House Oversight and Government Reform Committee and the Senate Homeland Security and Governmental Affairs, respectively -- the committees that oversee the postal service -- their support is key. Other congressmen on those committees, however, had negative reactions to the plan. Sen. Tom Carper, D-Del., chairman of the Homeland Security and Governmental Affairs Committee, said in a statement he was "disappointed" with the decision but found it hard to blame the Postal Service. "I have long argued that Congress should reduce the number of service mandates it places on the Postal Service so that the Postmaster General and his team can more easily adjust operations to reflect the changing demand for the products and services they offer," he said. "While I welcome the Postal Service's intention to preserve Saturday package delivery under the proposal announced today, I would much prefer that any effort to move to a five-day mail delivery schedule occur in an orderly manner similar to the process the Senate approved last year." Carper last year co-authored bipartisan legislation that would have required the Postal Service to take other, aggressive cost-cutting measures for two years before resorting to five-day mail delivery. The bill passed in the Senate, but the House did not vote on it. Carper said one of his top priorities this year is reviving negotiations over the postal reform legislation. Sen. Susan Collins, R-Me., a senior Republican on the committee on who co-authored last year's Postal Service legislation, was more critical. Cutting service, she said in a statement, should "be the last resort, not the Postal Service's first choice. The Postal Service's decision to eliminate Saturday delivery is inconsistent with current law and threatens to further jeopardize its customer base." Sen. Mark Begich, D-Alaska, another committee member, called the move "bad news for Alaskans and small business owners who rely on timely delivery to rural areas." "The Postal Service should have allowed Congress to address this issue through the legislative process," he said. "We wouldn't be in this situation if the House had done its job and passed a bill." Sen. Mark Pryor, D-Ark., another committee member, similarly said, "Due to the House's inaction, the Postal Service is now facing crippling deficits. While I agree the Postal Service needs to cut costs, their plan to end Saturday delivery cannot move forward without Congressional approval." Sen. Frank R. Lautenberg, D-N.J., chairman of the Appropriations Subcommittee on Financial Services and General Government -- another committee with Postal Service jurisdiction -- said there should be real "comprehensive reform" rather than piecemeal efforts. "It is unfortunate that the U.S. Postal Service has made a unilateral decision to move to five-day delivery in a matter of months when serious questions remain as to whether piecemeal efforts like this one will do anything to secure the Postal Service's long-term viability," he said. "Furthermore, this move circumvents the clear will of Congress as expressed in the law over three decades." Rep. Janice Hahn, D-Calif., meanwhile, said she was "deeply troubled" by the way the cutback in service may impact her constituents, particularly seniors. "There are a lot of people in my community who depend on six-day delivery for important time-sensitive mail," she said. "I am particularly disturbed by what effects this decision might have on our seniors. While I understand the current budgetary challenges of this decision, these cuts cannot be made at the expense of our most vulnerable." House Speaker John Boehner today expressed sympathy for the Postal Service's dilemma without saying whether he supported the plan. "They're charged with running the post office," he said. "But yet the Congress in its wisdom has tied their hands every which way in order for them to actually run the post office in a revenue neutral way. And so Congress needs to act. There's no question about that. And I hope that we'll act soon."